In 2015, our client Pyramid Environmental performed a geophysical investigation for the National Park Service at Carlsbad Caverns National Park in Carlsbad, New Mexico. The survey used electrical resistivity (ER) mapping to look for potential underground caves or caverns near an area designated for the construction of an underground water pipeline. Our client used the SuperSting™ R8, SwitchBox 56, Passive Cables spaced at 10 feet (~3m) apart, and a Dipole-Dipole electrode array. 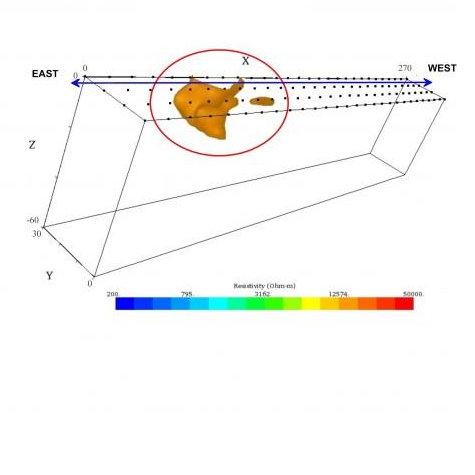 A 2D resistivity survey was performed along the length of the proposed waterline route (about 6,900 feet) to identify suspected underground anomalies that may have been associated with caves. 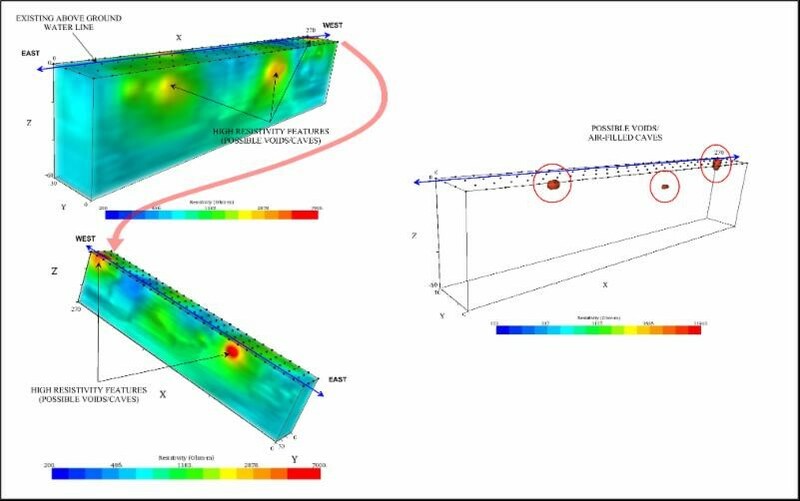 Subsurface anomalies were further investigated with a 3D resistivity survey. The 3D survey identified six specific locations containing possible, probable, or highly probable air-filled voids. Two of these locations were at the ground surface; the remaining voids were between six and 13 feet below the ground surface. The voids ranged in size from less than five feet in diameter to as much as 20 feet in length. The results of the survey confirmed that the voids may impact the planning and construction of the new underground waterline. If the pipeline were built above anomalies and were somehow damaged—the water could contaminate the area. This project illustrates how invaluable geophysical techniques are when used to investigate unknown subsurface conditions. Cost. 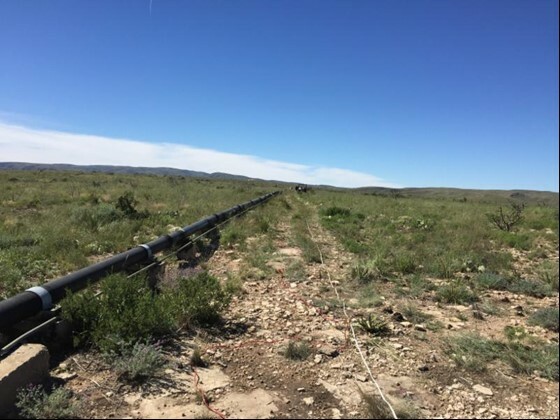 Electrical resistivity mapping costs significantly less than drilling the entire length of the pipeline. Accuracy. Not only is it very expensive to drill blindly—you might miss the voids if you’re drilling every 20 feet. Imaging helps you see what’s below the ground without drilling beneath it, so you can drill with accuracy where you need to. In addition to cave and void detection, resistivity imaging is a lower-cost method to mapping than blindly drilling to explore pipeline stability, infrastructure safety, and the man-made structures on surfaces like roads.